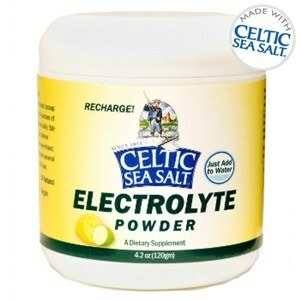 Turn ordinary water into a refreshing, body recharging electrolyte drink. 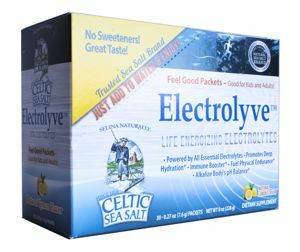 Our Electrolyve® Powder is an all-natural mineral mix designed to rehydrate your body with the quality you've come to expect from Celtic Sea Salt®. All natural, gluten-free, sugar-free and vegan, this doctor-formulated, proprietary formula is ideal for athletes of all ages, without the chemicals and sugar you find in other sports drinks. Just scoop, mix and recharge!